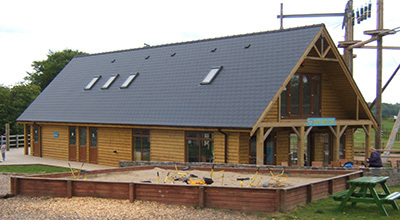 9 out of 10 "self-builders" choose timber frame, because no other building method is as versatile & cost effective. Timber frames are precision engineered, remarkably strong and durable. JSI Timber Frame Ltd based in Pembrokeshire, South Wales is run by Nathen Houston, a time served carpenter with more than 20 years experience within Pembrokeshire, Carmarthenshire, Ceredigion and South Wales. The last 10 years, Nathen has spent erecting timber frames locally and further a field, from your 2 up 2 down timber frames, to new schools and flats for both private and commercial customers. JSI Timber Frame is the natural progression from frame erecting to manufacture and erecting. With a 3350sq ft workshop and computer aided design, JSI Timber Frame Ltd can produce a quality product delivered and installed to a high quality. At JSI Timber Frames, we employ computer aided design to engineer roof trusses and SpaceJoist open web joists to exacting standards of quality and high value. Recent investment in our Pembrokeshire manufacturing plant has grown floor space to 5500 sq ft to accommodate higher roof truss and SpaceJoist production capacity.